PARIS, 9th March 2017 (VCHR) – The Vietnam Committee on Human Rights (VCHR) welcomes the US State Department’s 2016 Country Reports on Human Rights Practices released on 3rd March 2017. The report’s 58-page chapter on Vietnam makes a severe appraisal of the human rights situation, documenting widespread abuses and “severe government restrictions” on citizens’ political rights and civil liberties. The report cites abuses such as “arbitrary arrest and detention for political activities; continued police mistreatment of suspects during arrest and detention, and denial of the right to a fair and expeditious trial”. In 2016 Vietnam’s “judicial system was opaque and lacked independence”, the report said, “the government limited freedom of speech and suppressed dissent; exercised control over and censored the press; restricted internet freedom and freedom of religion; maintained often-heavy surveillance of activists” and “restricted visits by human rights NGOs and foreign press agencies that did not agree to government oversight”. “The US State Department’s report confirms our analysis that 2016 was a black year for human rights in Vietnam” said VCHR President Võ Văn Ái, “This alarming trend continues in 2017 with a frenzied government crack-down on freedom of expression, assembly and religion or belief”. The VCHR regrets, however, that the State Department makes no mention of the plight of one of Vietnam’s most prominent and beleaguered dissidents, the Most Venerable Thích Quảng Độ, 89, Patriarch of the Unified Buddhist Church of Vietnam (UBCV). He is not even on the list of political dissidents subjected to restrictions of in-country movement. Yet Thích Quảng Độ, currently under house arrest at the Thanh Minh Zen Monastery in Ho Chi Minh City, has been under different forms of detention (prison, internal exile and house arrest) for more than three decades. VCHR is aware that religious freedom issues are not covered in this Country Report, but in a separate report by the State Department’s Office of International Religious Freedom. However, Thích Quảng Độ is not merely a victim of religious freedom abuses. 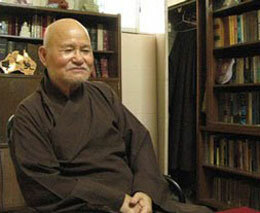 Whilst he is under no formal indictment, Thích Quảng Độ is virtually a prisoner in his own monastery. He is under constant surveillance, his movements are restricted, his communications monitored and visits are vetted by Security Police, who have a station across the street. Whilst the government allows diplomatic delegations to meet Thích Quảng Độ, local Police frequently warn visiting Vietnamese Buddhists to stay away from the UBCV leader because he is “a criminal”. Thích Quảng Độ has repeatedly asked the authorities to give him written justification for his detention under house arrest, but they systematically refuse, saying that it comes from “verbal orders from above”. VCHR is concerned that US diplomats may be influenced by the Vietnamese Ministry of Public Security and Ministry of Foreign Affairs’ repeated claims that Thích Quảng Độ is not under house arrest. They say that he is “free” and may go wherever he wishes, but that he simply doesn’t want to travel. We firmly declare that this is not true, and we call upon the United States and all diplomatic delegations in Vietnam to look beyond these deceptive statements. 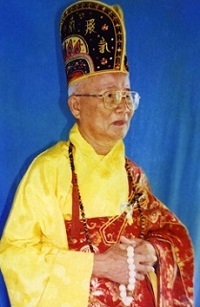 In fact, in recent months, Thích Quảng Độ has effectively declined a number of offers to travel outside his monastery, not because he did not want to travel, but because he knew these were politically-motivated attempts to place him under absolute state control. On the one hand, a relative has been pressing him to move to northern Vietnam to take charge of the clan’s ancestral temple. Thích Quảng Độ knows that if he accepts to go there, he will never be able to return. At the same time, Venerable Thích Thanh Phong, a powerful figure in the State-sponsored Vietnam Buddhist Sangha (VBS) in southern Vietnam is trying to force Thích Quảng Độ to live at Vĩnh Nghiêm Pagoda, one of the VBS’s principal centres in Ho Chi Minh City. 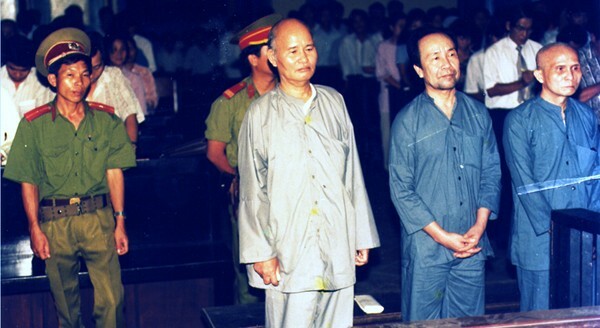 Thích Quảng Độ, who has devoted his life to religious freedom and the right to existence of the outlawed UBCV, says he could never accept to betray this commitment to live in a golden cage under VBS control. Moreover, prior to the visit of former US President Barack Obama to Vietnam last year, US Ambassador Ted Osius invited Thích Quảng Độ to meet him in a tea-shop in Ho Chi Minh City. Thích Quảng Độ told VCHR President Võ Văn Ái that he appreciated the US Ambassador’s good will, but he had to decline the invitation because he knew that the communist authorities would not prevent such a meeting, but, on the contrary, would use it to spread the impression that he is free, which is certainly not the case. VCHR appeals to all foreign diplomatic delegations in Vietnam to closely monitor the situation of Thích Quảng Độ and measure the intense psychological pressures, as well as the physical restrictions that he endures. We urge you to press Vietnam to reestablish the UBCV’s legal status and grant its full freedom of religious activity; and to publicly lift all restrictions on Thích Quảng Độ and declare his total and unconditional release, so he may spend his twilight years in freedom, surrounded by his many disciples and friends.